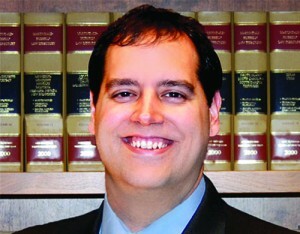 Andrew Seitz is an attorney at Waters Kraus & Paul in the firm’s Los Angeles office. His practice focuses on asbestos litigation, toxic tort, product liability, personal injury, and premises liability matters. Andrew earned his bachelor’s degree from Penn State University and was awarded his Juris Doctor degree from Pepperdine University School of Law, where he was a Dean’s Merit Scholar. Andrew is author of the article titled, “It’s a Series of Tubes: Network Neutrality in the United States,” published in the Journal of the National Association of Administrative Law Judiciary in Fall, 2009. Andrew is a member of the American Bar Association, the American Association for Justice, and was admitted to the State Bar of California in 2010.